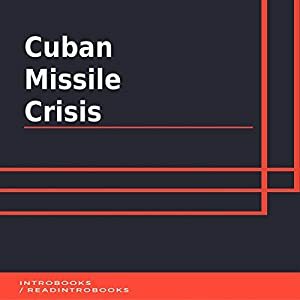 The Cuban Missile Crisis, commonly known as the Caribbean Crisis in Russian terms and October Crisis in Cuban terms, is the time highlighting the juxtaposition between the Soviet Union, Cuba, and the United States. It is often considered the Cold War of Cuba, which was extended to a great level, as there was a major possibility of the Cold War converting into a nuclear war between the two countries. The Soviet Union started installing the missiles in Cuba, as they wanted Americans to emit the missiles placed in Turkey and Italy. Another reason was the unsuccessful Bay of Pigs invasion in 1961 by America, which developed a huge fear of another attack in Cuba in the minds of USSR (Soviet Union). In 1959, Fidel Castro was given power and was considered head of the new government of Cuba. Using his power, Castro took over important American business, and as a result, the American government foreclosed buying goods and services from Cuba. On February 7, 1962, new tension arose that the Soviet Union would invade America through Cuba. As Cuba was very close to America, it was quite obvious that the missiles thrown by the Soviet would reach the American cities, which would not only harm the people residing there but also pulverize American businesses.